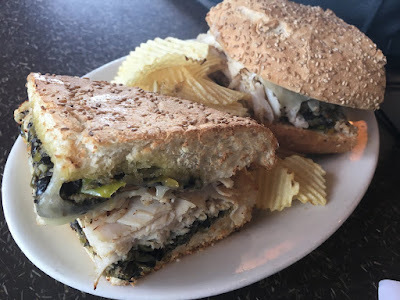 While down in the Bloomington, Illinois area to visit my parents, sister and niece and nephews, we decided we would stop for a bite and Jason's Deli seemed a good spot. With a nice menu of sandwiches and soup, a salad bar and the complimentary ice cream, there would something to please everyone. Whenever I go to a Jason's Deli I usually get the muffuletta. That sesame bread is amazing. I got a whole one that my sister, her babysitter and I split. 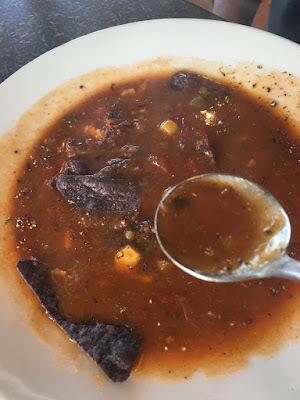 Dad got the tortilla soup, which he really enjoyed. My sister and her kids got a variety of different items. I missed getting a picture of the baked potato I ordered for my mom, which was gigantic. I've always been happy with everything I've ordered there. And although I opted to skip the salad bar this time, I've gotten salad in the past and there's a nice variety of items and it goes beyond lettuce and a couple other veggies. You have a lot to choose from. I have to also add that the staff there was extremely nice. We had a big group of 10, so we had to move a few tables together and they were very nice about us re-arranging the dining room. They came over to check and see if we needed anything else and when I goofed up my mom's baked potato order (she didn't want cheese), they made her a new one at no charge - even though it was my mistake. Jason's Deli is a favorite for a quick bite or if I want to build a salad. And of course, we all had to finish off with a little ice cream - the best part of a visit. 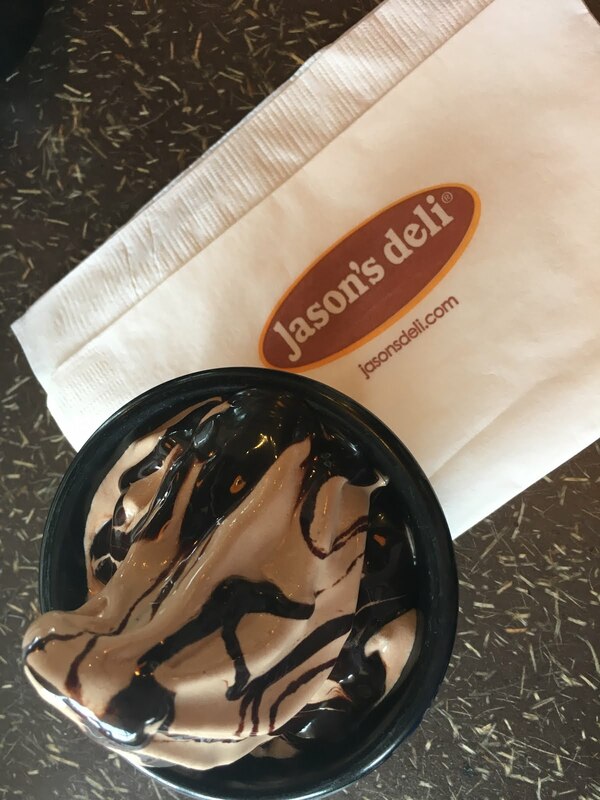 No matter what you order, you know there is soft serve ice cream and chocolate syrup waiting at the end. For more into on their locations and menus, visit jasonsdeli.com.